Data breaches double among US retailers while sensitive data is now being stored in the cloud. New research from Thales eSecurity has revealed that 50 per cent per cent of US retailers experienced a breach in 2018 compared to just 19 per cent last year. The results from the firm's 2018 Thales Data Threat Report, Retail Edition shed light on the staggering increase in data breaches experienced by retailers this year. 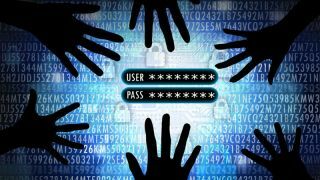 While last year's report showed a decrease in breaches, this year US retail data breaches more than doubled from 19 per cent in the 2017 survey to 50 per cent. As a result, US retail is the second highest vertical polled to experience a data breach in the last year, falling only slightly behind the US federal government and ahead of healthcare and financial services. The survey also revealed that this year 95 per cent of US retail organisations will use sensitive data in an advanced technology environment such as cloud, big data, IoT or containers. More than half of respondents believe that sensitive data is currently being used in these environments without proper security in place. US retailers are prepared to respond to these threats by increasing security spending. Of those surveyed, 84 per cent cited plans to increase IT security spending with 28 per cent noting that the increase would be significant. Unfortunately this increased spending will be going to endpoint and mobile defences (72% US; 52% global) despite the fact that respondents believe that other areas such as encryption would be more effective.